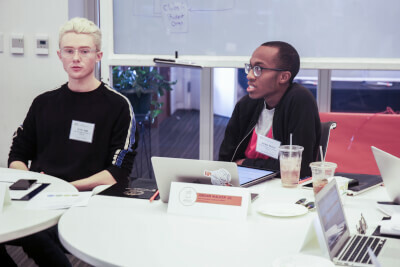 Members from the student governments of the University of Southern California (USC), Pitzer College and Occidental College met to discuss shared governance during an all-day symposium in the Varelas Lab Dec. 1. Associated Students of Occidental College (ASOC) Senate President Jacques Lesure led the symposium, along with Senate Chief of Staff Noah Schucking, Vice President of External Affairs Jordan Walker and Vice President of Internal Affairs Wafa Abedin. The symposium covered matters including student representation in hiring, strategic planning, budgeting and other campus-wide issues from colleges in attendance. One of the first topics that participants discussed was the need for strategic planning and transparency within their schools. Occidental completed a strategic plan five years ago, and now, Senate is focused on organizing more measurable goals and outcomes, according to Lesure. Representatives of USC and Pitzer said that their strategic planning process has been implemented at an institutional level. According to Michaela Murphy (junior) of USC, her university has a goal of completing a specific campus climate resolution by 2020; the resolution and the following policies have been varied in their success. Trenton Stone, director of the professional and academic fund at USC, said that some administrative plans too often treat money grants as end-all solutions. Christopher McMorran, director of first-year affairs at USC, said that he opposed how USC treats its students. According to Lesure, taking advantage of students’ leverage is another important step in ensuring that administrations take seriously the work of student governments. 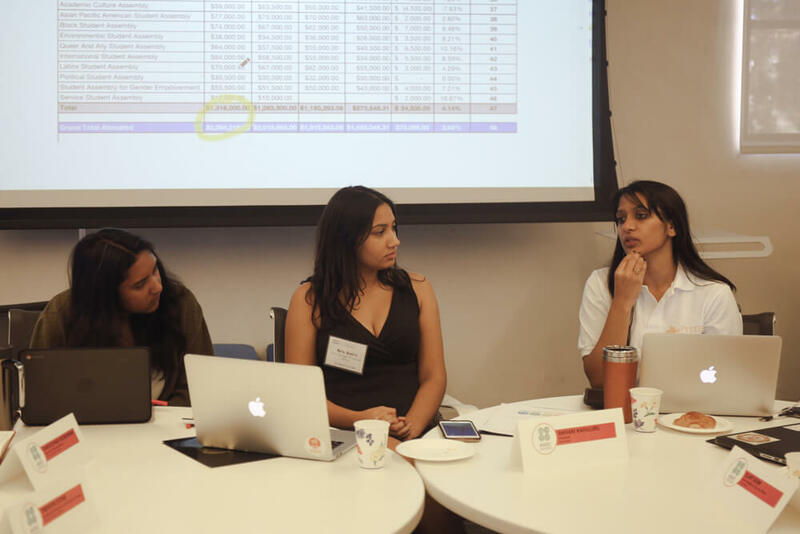 Pitzer Senate President Shivani Kavuluru (senior) said that she believes that Pitzer has leverage as an institution founded on social activism and student participation. She said that the USC Undergraduate Student Government (USG) should consider USC’s brand image or alumni networks as a means to gain leverage. “If I was at USC, I would go into a conversation with the administration and say that there is a lack of transparency and communication to the students and that doesn’t look good for the college,” Kavuluru said during the event. Kavuluru said Pitzer has a similar problem with leverage and how to actually make a difference in administrative policies beyond simply attending meetings. “It’s a situation where they allow students to be included in those committees, but we don’t really know how much of an influence those students are actually having,” Kavuluru said during the event. Lesure said that Occidental senators have used the leverage of students’ economic power to get the administration to respond to their demands. “Sixty-eight percent of our operating revenue at this institutional level comes from tuition, and so we’re able to just wave that over the head of the administration, and they have to respond to that,” Lesure said. Another item on the symposium’s agenda was a discussion about mobilizing student participation. Schucking said that ASOC’s Project Planning Document provides a valuable framework to improve student participation. Schucking said that attendees also focused on comparing different governing structures across institutions. “After learning more about USC USG and Pitzer College Student Senate, I think that we as a student body should revisit the current structure of ASOC, and try to figure out how we can improve on our current structure in terms of empowering students at Occidental,” Schucking said via email. Another theme throughout the event was student access to on-campus health care services, specifically mental health care. Murphy said she believes that, while USC has a lot of financial resources, they don’t have the institutional structures to review student feedback and provide aid to certain vulnerable groups. “At USC, it’s so complicated because, for example, the administration has had problems with the health center, and so then they were like, ‘Oh, here is 2 million dollars,’ but then that money never goes where it is truly needed,” Murphy said during the event. Murphy claimed some counselors at USC do not use the correct pronouns and are unaware of how to help queer students that come in for treatment. “We don’t have anything structurally or institutionalized to help us deal with it [the treatment of queer students] and the weight of that burden cannot fall on the queer and ally student assembly. They have their own lives and that kind of work is not what they receive funding for,” Murphy said during the event. Kavuluru said that she feels the Pitzer administration has not always been responsive to student concerns about health services. On Occidental’s campus, Emmons Wellness Center has also been adapting to a recent increase in student utilization of its resources; Emmons’ mental health services specifically have seen a 19 percent increase since 2008 in the number of students using counseling. Last year, after students posted a petition on Change.org calling on the administration to review the health center’s services, Emmons and the Diversity and Equity Board (DEB) hosted two town halls, one to gather feedback about services and one to report back on changes Emmons made based on student concerns. After multiple staffing changes this year, some students continue to have concerns about the health center, including the lack of staff diversity, as DEB Student Life Liaison Venitia Boyce said to The Occidental in an Oct. 1 article. Walker said that Senate is not operating in an oversight role, but that a few Senators are serving on the Gender and Sexuality Equity Committee (GSEC) committee, which is a joint DEB and Senate committee formed this semester. The Dec. 1 event was the first in the shared governance symposium series. According to Lesure, USC has committed to hosting the next event series, which will be in February 2019. “I’m curious to see what you all come up with because I know that all of our schools are distinct, and so each of these processes that we implement should look different in order to be truly tailored to what our schools need, ” Lesure said during the event. This article was revised to correct the spelling of Noah Schucking’s name at 2:30 p.m. on Dec. 5. This story was also revised at 4:34 p.m. on Dec. 11 to add quotes about mobilizing student participation and structural differences between participating schools, topics that were originally not mentioned; to revise a sentence about GSEC; and to add the details about February’s symposium event.